I’m a faculty member in the Educational Leadership Program. I teach courses related to equity, social justice, and inclusion of diverse communities, families, and students in K-12 schools, in WSU’s Administrative Credential, Masters, and Doctoral Programs. My research agenda centers around the concept of leadership for equity and diversity. 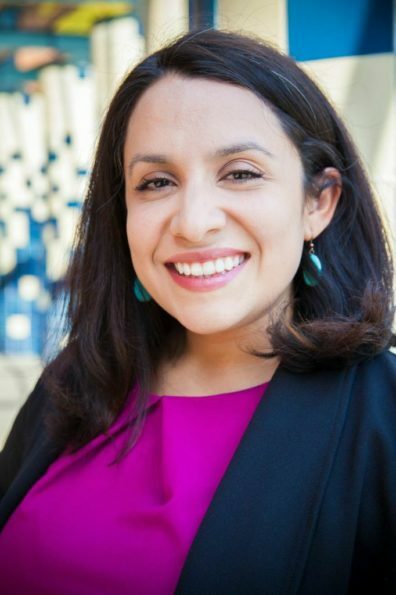 As third-generation Mexican American and first-generation college student, I am committed to being a community-engaged scholar, whose work advances educational equity and culturally responsive education for marginalized communities, particularly low-income communities of color across the educational PK-20 pipeline. My focus on leadership for equity and diversity inspires three lines of qualitative research: (1) Studies of school and district equity leadership; (2) Studies of parent and community leadership in education; (3) Research on STEM access and retention in community colleges. I am a graduate of Stanford University’s Graduate School of Education. I received a BA in Philosophy and History at Seattle University. I am a former Fulbright Scholar and worked on research project studying the civic engagement and leadership impacts of a childhood nutrition program in Peru. Before earning my Ph.D., I taught Spanish and Service Learning at an urban high school in Oregon. Counterstories of Leaders of Color: Using CRT and LatCrit counterstorytelling methods (Solorzano & Yosso, 2002), I have analyzed the experiences of leaders of color across work positions, regions, and cultures. With co-authors Dr. Claudia Rodriguez-Mojica (Santa Clara University) and WSU graduate student Alison Cochrun, we have published recently published an article entitled “‘You guys are bilingual aren’t you?’ Latinx educational leadership pathways in the New Latinx Diaspora” in the International Journal of Leadership in Education. I also received the first George Brain and Gay Selby Faculty Award in Educational Leadership from WSU. This award will help fund continued research on the experiences of leaders of color across races and cultures in the Pacific Northwest, beginning in Fall 2019. Rodela, K., & Bertrand, M. (2018). Special Issue Introduction: Rethinking Educational Leadership in the Margins: Youth, Parent, and Community Leadership for Equity and Social Justice. Journal of Research in Leadership Education, 13(1), 3-9. Bertrand, M., & Rodela, K. (2018). A framework for re-thinking educational leadership in the margins: implications for social justice leadership preparation. Journal of Research on Leadership Education, 13(1), 10-37. [Special Issue: “Rethinking Educational Leadership in the Margins: Youth, Parent, and Community Leadership for Equity and Social Justice”]. Kruse, S., Rodela, K., Huggins, K. (2018). Messy Messages and Making Sense Across Complex Contexts: A Regional Network of Superintendents Confronting Equity. Journal of School Leadership, 28(1), 82-109. Rodela, K., & Tobin, J. (2017). On Anna’s Terms: Supporting a Student’s Gender Transition in Elementary School. Journal of Cases in Educational Leadership, 20(4), 42-57. Rodela, K. (2016). Undocumented Educational Leadership: The Development of Latina Mothers into Emergent Social Justice Leaders [Special Issue: “Latina/os and a Spirit of Dedication and Commitment Towards the Community]. National FORUM of Applied Educational Research Journal, 29(1&2), 21-33. Gomez, K., Gomez, L., Rodela, K., Horton, E., Cunningham, J., Ambrocio, R. (2015). Embedding Language Support in Developmental Mathematics Lessons: Exploring the Value of Design as Professional Development for Community College Mathematics Instructors. Journal of Teacher Education, 55(5), 450-465.